An American Delivery company, UPS, has launched the first authorized drone delivery service that will transport packages to residents. 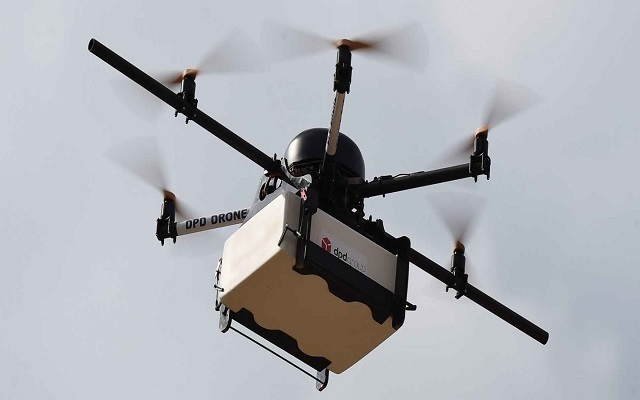 The first ever shipment made by this new drone is the delivery of medical samples at the WakeMed hospital campus in Raleigh, North Carolina. Drone Delivery Service is not new as Dominos had already launched Pizza Delivery services from Drone. However, this drone is specially designed to deliver medical units. This quadcopter drone will be able to carry medical payloads that will weigh up to five pounds. The distance that this drone can cover is up to 12.5 miles. Currently, we have traditional courier services that take a lot of time. So as whole drone transportation will improve the speed of deliveries and at the same time reduce the delivery cost.